The site is currently closed due to tornado damage. 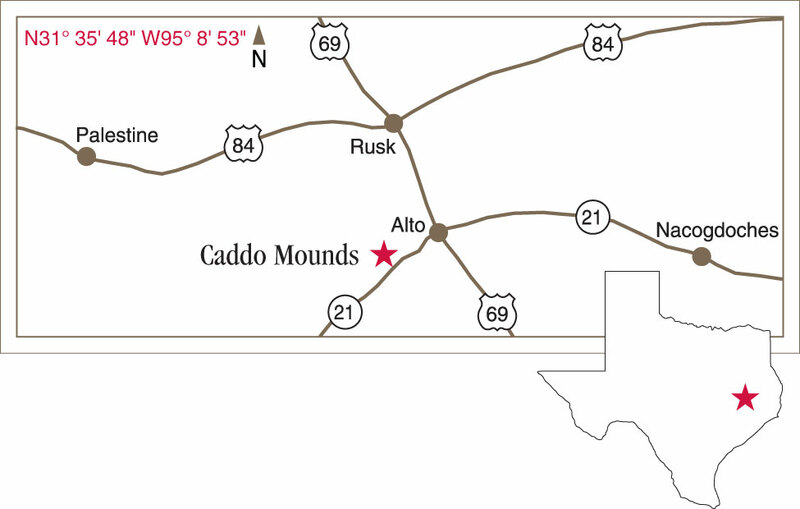 GPS: N31° 35' 46.9" W95° 8' 55"
More than 1,200 years ago, a group of Caddo Indians known as the Hasinai built a village 26 miles west of present-day Nacogdoches. The site was the southwestern-most ceremonial center for the great Mound Builder culture. Today, three earthen mounds still rise from the lush Pineywoods landscape, where visitors discover the everyday life and the history of this ancient civilization. Download the Caddo Mounds visitors guide (PDF) for a snapshot of the site. Help us preserve Texas history. Donate now to support the preservation, education, and outreach activities of Caddo Mounds.